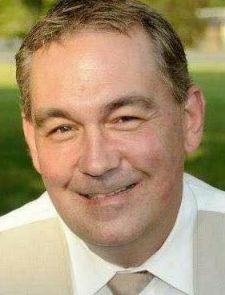 Paul Clayton Pulliam, 50 formerly of Eden, NC passed away peacefully at home Tuesday, August 28, 2018 in Alabama. Paul was born on October 12, 1967 in Martinsville, VA to the late Buddy Pulliam and Judy Turner. He was a 1986 graduate of Midlothian High School in Richmond, VA. He was in Restaurant Management for most of his career. He was the General Manager of Ruth’s Chris Steakhouse in Richmond, VA and Nashville, TN, Whistle Jacket in Eden, NC, Mangos in Orange Beach, AL. He also was a server / bartender at Ruby Tuesday’s and Red River Grill in Eden, NC. He resided in Bessemer, AL and worked at Mattress and More. He was the life of the party, a jokester and comedian who never met a stranger. If he was around you can bet you were going to be laughing by the end of the night. He was a beloved son, step-son, grandson, brother, uncle and a friend to so many. He will be greatly missed. He loved Alabama football… ROLL TIDE ROLL.. and his Miami Dolphins. He is survived by his step mom, Deborah Pulliam; sisters, Tracey Ellis, Jennifer Pulliam-Thill and husband David, and Ashley Pulliam; nephews, Brandon Ellis and Skyler Corum; nieces, Breanna Ellis and Lexie Boothe all of Eden, NC, uncle, Lloyd Turner and wife Linda, cousin, Laurie Turner of Martinsville VA., special aunts, Bette Barker and Mary Edwards of Eden, NC, and his best friend, Rusty Prater of Bessemer, AL. He was preceded in death by his father, Buddy Pulliam; his grandparents, Charlie and Thelma Pulliam of Eden, NC and Paul and Irene Turner of Collinsville, VA.
Gladys, I am so sorry for your loss. You are in my thoughts. Jennifer and family, so sorry for your loss. I will keep you all in my thoughts and prayers. God Bless!